Then send an email with your name, address, postal code, city, country and phone number to the following address. **Once your order is received we will send you an confirmation within 24 hours. **Delivery may take 3 to 5 days inside The Netherlands, 10 to 14 working days inside Europe and 15 to 21 days outside Europe. By hosting an screening you are helping to raise awareness about the human rights situation inside West Papua. 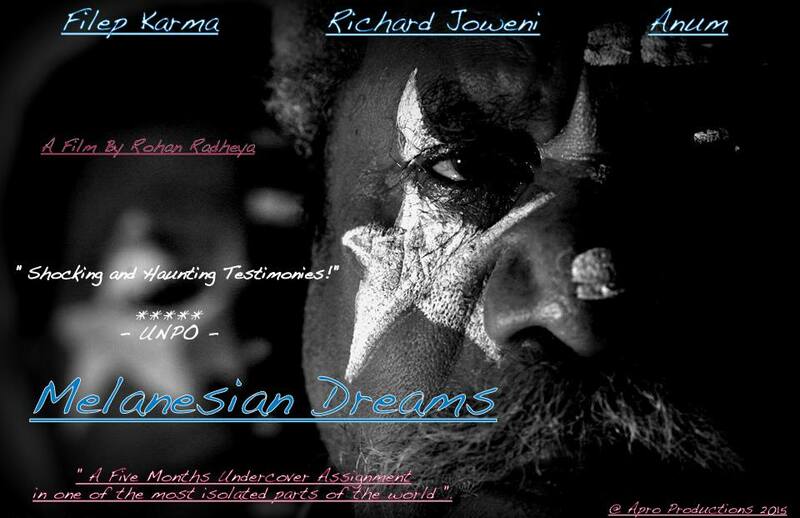 You will receive an limited edition of Melanesian Dreams with behind the scene footages, an interview with the filmmaker and 70 minutes extra uncut film from undercover in Papua. Get upto 80 % discount if screening this documentary for humanitarian, human rights and non profit purposes. **By purchasing an dvd you are helping to raise awareness about the human rights situation inside West Papua and you help the filmmaker to return to West Papua in the future, and encourage more documentation from an closed country. **20% of the money generated by purchase of DVD’s, will go to 10.000 West Papuan refugees in neighbouring Papua New Guinea, who are currently surviving without humanitarian aid from The UNHCR. Some of the West Papuan refugees living in The Iowara Camp in Kiunga and The rainbow camp outside Moresby escaped political persecution in the 60’s and 80’s. Most current camps are deprived, from electricity, basic education, basic medical healthcare and are located in very isolated dense jungles.. Despite claims of changes brought by the Indonesian government inside West Papua, the majority of The Papuan refugees remain reluctant to return back home and fear reprisal at return. The Dutch Chamber of Commerce in The Netherlands under registration code: 40413760.